What is the relation between meditation and culture? Over the last decade Halvor Eifring has been undertaking an inter-disciplinary research project to explore the nature of ‘meditation’ and the cultures in which it is practiced and undertaken. A conference was held near Oslo in 2011, bringing together internationally-renowned scholars who sought to answer the question: What is the relationship between meditation and culture? This book is the fourth product of their contributions – with discussions of practices that travel from one culture to another, or are surrounded by competing cultures; and exploration of cultures that bring together competing practices, or that are themselves mosaics of elements of different origins. 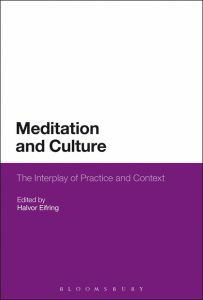 The book seeks to integrate a number of different perspectives, and, in doing so, to argue for a multifaceted rather than a one-directional relationship between meditation practice and cultural context. Although there are many variables from several disciplines, they are discussed with an open-minded willingness to attempt to cross cultural and disciplinary boundaries. This is a subject that is becoming increasingly important. 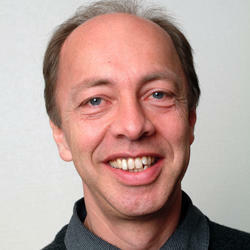 Halvor Eifring is a professor at the University of Oslo and general secretary of Acem International. 3)“While there is still much (well-placed) skepticism on the ability to move beyond individual traditions of meditation towards finding some universal understanding of how meditation practices work and affect the body and the brain, the excellent scholarly work in this volume attests to the possibility of moving in that direction from a solid research standpoint. Chapter four also underscores Eifring’s own interest in scientific inquiry into meditation techniques, and offers a bridge between the scientific and academic community advocated in the introductory chapter. A scholar of Chan Buddhism, Eifring has edited and contributed to several books on this topic: Hindu, Buddhist and Daoist Meditation: Cultural Histories (Hermes Academic Publishing and Bookshop 2014); Meditation in Judaism, Christianity and Islam: Cultural Histories (Bloomsbury Academic 2013); Asian Traditions of Meditation (University of Hawai’I Press, forthcoming, 2016). Eifring’s interest in meditation is also underscored by his involvement with Acem Meditation International, an Oslo-based organization, of which he is the general secretary; he is also the editor of Acem’s journal Dyade.” Elena Valussi, Advanced Lecturer in History at Loyola University Chicago – where she teaches courses in modern East Asian and Chinese history. 4)” So this book offers a significant contribution to study of a field notoriously difficult to document or discuss in academic terms. Norway is, of course, the home to a particular kind of even-handed internationalism. This feels a very Norwegian project, and Eifring is to be congratulated for a courageous undertaking, that brings this spirit of fairness and search to the study of so many different kinds of meditation. That such study has been achieved without sacrificing scholarly care and substantiation is a credit to the editor and the book’s contributors. Only collaboration between scholars in neuro-science, philology, textual analysis, anthropology, ethnography and religious studies will make further work in the field of the study of meditation and related areas possible. The articles in this book are all intelligently analytic, observation-based and filled with information that a scholar or general reader approaching a particular area without prior knowledge will find helpful and informative. All the scholars involved have been, happily, slow to draw too many quick conclusions, but careful in their presentation of textual and field evidence, and in ensuring this is balanced with analytic comment and suggestion that aids further investigation for those who may be coming from other disciplines and areas of prime interest. What I think a lot about is that we could solve all the problems we have right now in the world within only one generation, if meditation would be a daily part in kindergarten and school.